I’ve been a fan of Peach & Lily products since receiving a facial from founder Alicia Yoon (and learning about the anti-aging benefits of face yoga!). Each product from her line that I try is better than the next. I’m obsessed with the Essence — its cooling and hydrating formula soothes my skin without any irritation and breakouts. And the Matcha Pudding Antioxidant Cream? Well, let’s just say I’m on my third jar. It’s, quite possibly, my favorite under $40 moisturizer, as it’s packed with antioxidants and hydration, but doesn’t cause skin irritation or acne. 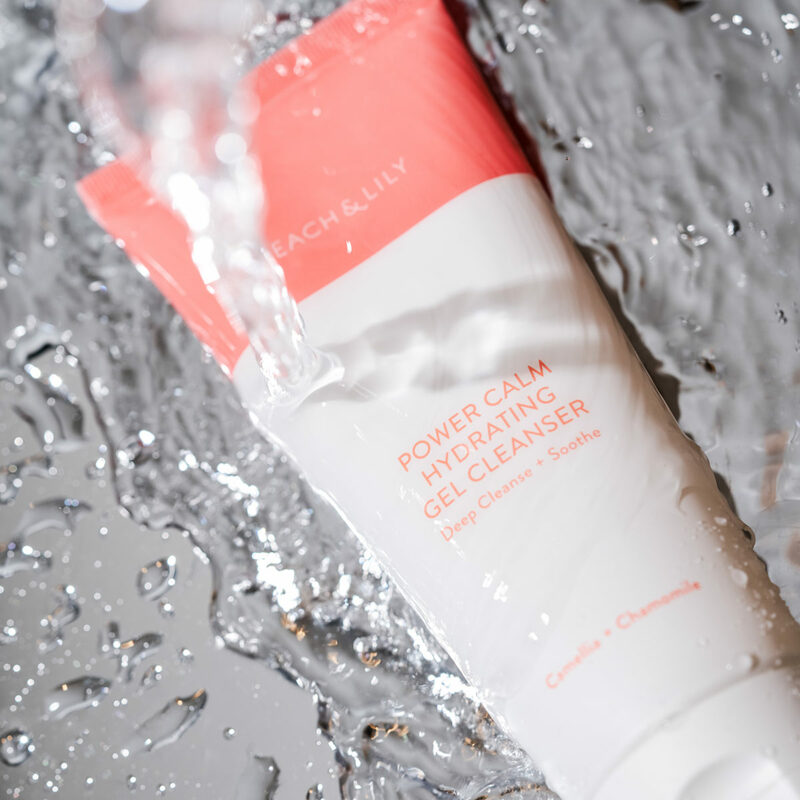 Peach & Lily’s latest launch, Power Calm Hydrating Gel Cleanser, is no exception. It’s gentle and soothing formula removes all dirt and bacteria without stripping the skin of natural, needed oils. This toxin-free cleanser has a pH of 5.5 to keep skin balanced and the skin barrier in-tact (I’m all about pH-balanced products as of late). The consistency is a gel that turns into a light foam when applied to the skin with water. I’ve only had to do a single cleanse to remove dirt and excess makeup; I do, however, use Bioderma H20 to remove makeup prior to my water cleanse. The affordable face wash has yet to cause any acne, milia, or blackheads. It really is a power cleanser (as the name suggests). You can’t go wrong with a well-priced product that actually works. When I use the Power Calm Cleanser, I feel like I’m using a product that would sell for $75 because of its natural ingredients and effectiveness, yet it’s a very reasonable $28. That’s literally the price of a matcha latte and a breakfast sandwich! Trust me: don’t buy just one; once you use it, you won’t want to stop. I already have my restock waiting in my toiletries closet.